We are a real estate company dedicated to bringing you the best properties that the south coast has to offer amidst our rural landscapes, charming villages and waterfront properties. We at seahorse realty offer personal and friendly service as well as access to all properties on the south coast. You can trust the agents of seahorse realty to provide you with honest and accurate market analysis and precise listing information. We are a full service brokerage and there is never a question of who represents who "we ALWAYS represent you"!! Whether you are buying or selling a home, hire someone like me, A PROFESSIONAL REALTOR® who wants to earn your business. I invite you to learn more about our team, Richard, Jane, Gustin and Wayne. We would be happy to represent you with this important transaction. If you are interested in selling your home, we will begin with a Home Evaluation so you can set the proper price to sell your home in this market. It is our duty to get you the most profit in the shortest amount of time with the least amount of problems. Please browse my website for Our Listings, reports and important local real estate information. 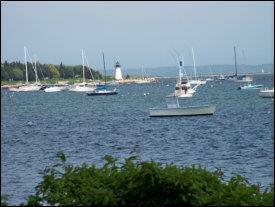 If you are interested in Cape Cod visit our Cape Cod Homes . If it's condos you are looking for, we have quite a few in all price ranges. Feel free to call us at 508-758-4663, or send an email if you have questions, or if we can provide the professional and knowledgeable assistance you need in your next real estate transaction. We look forward to hearing from you. We offer early morning or evening hours, including Sunday, by appointment.